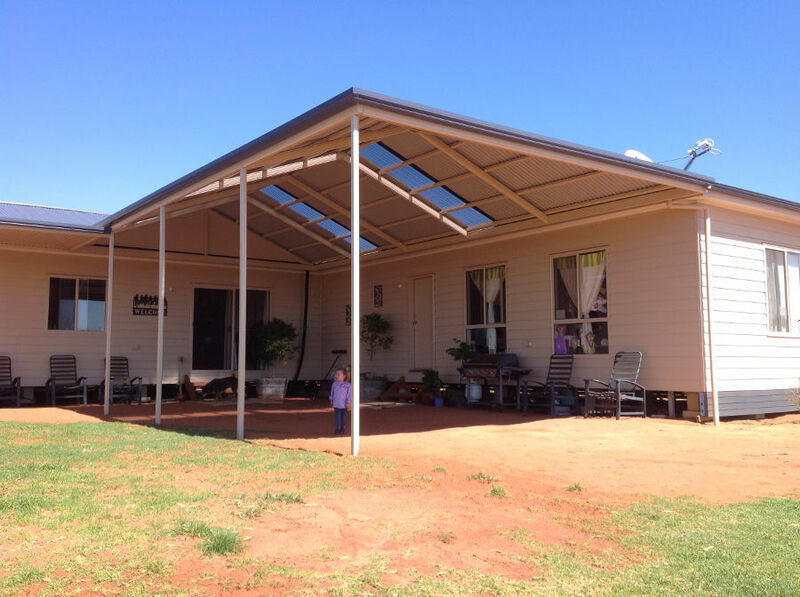 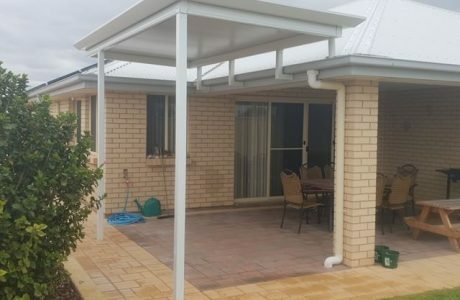 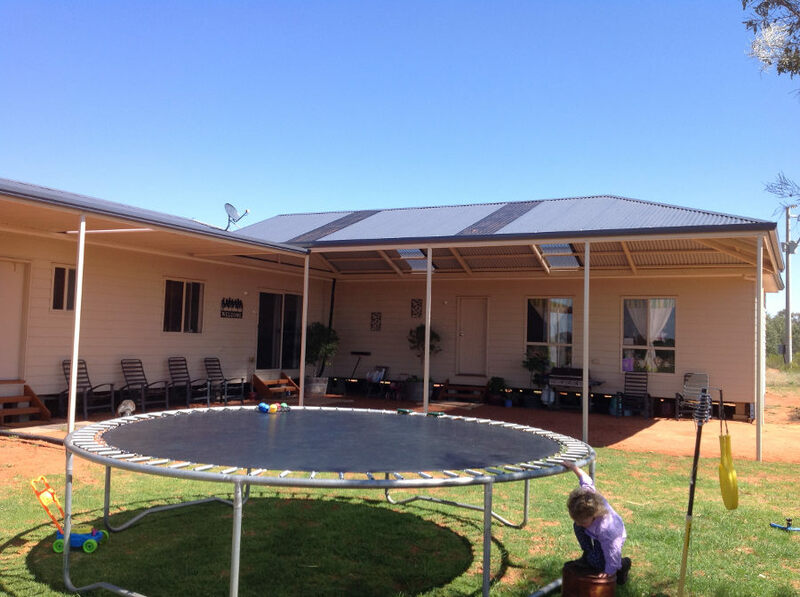 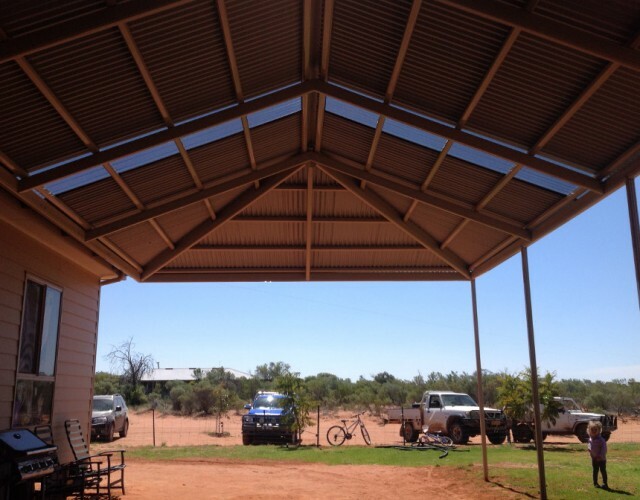 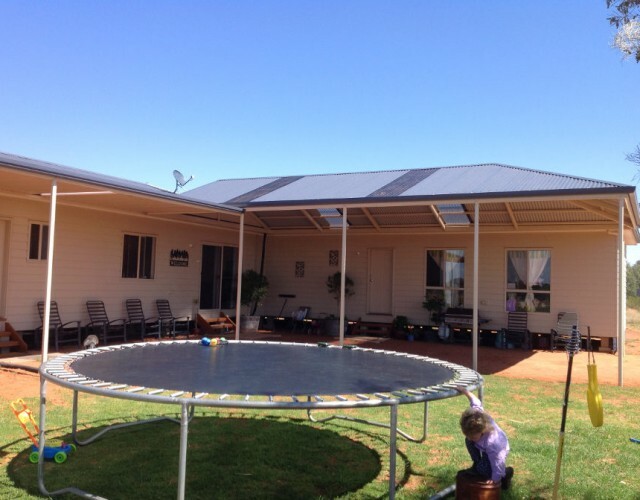 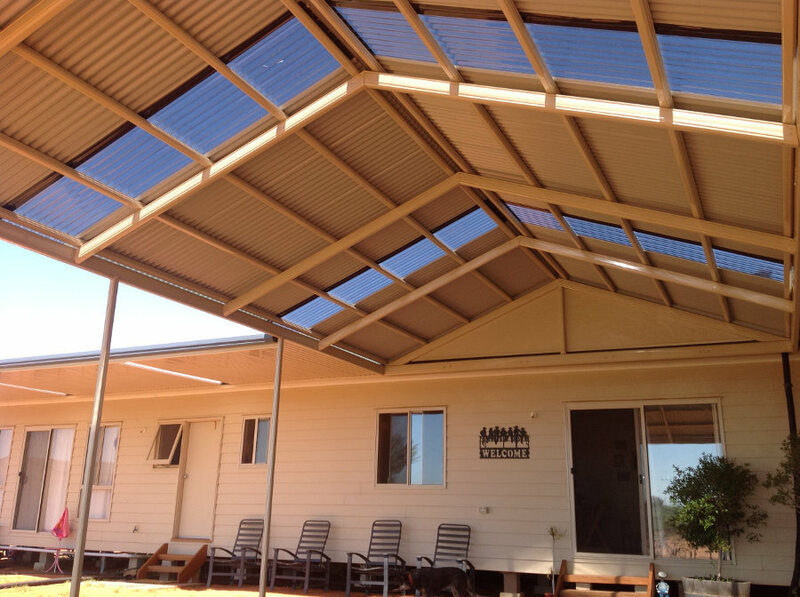 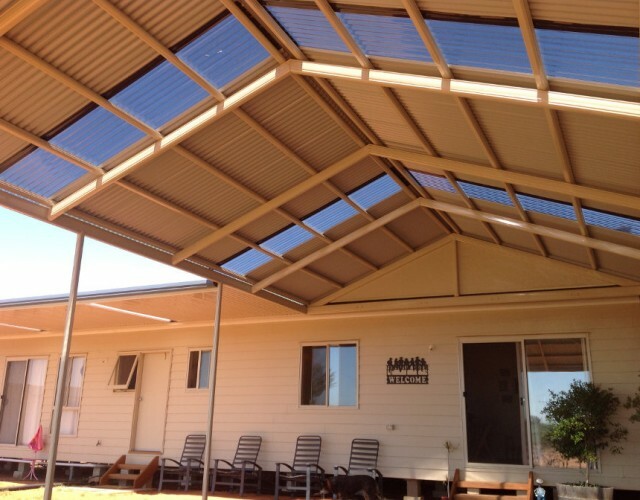 This verandah was built at Gumpopla Station 250kms North of Broken Hill in New South Wales. 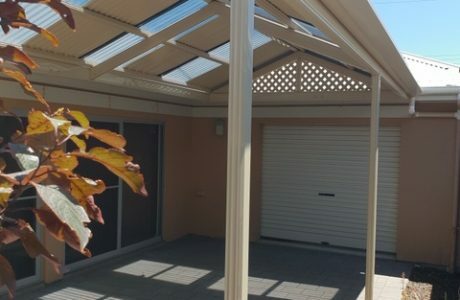 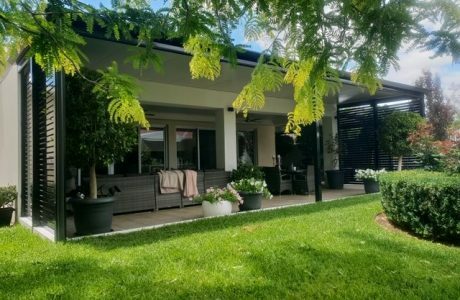 The actual verandah itself is a multispan hip end gable verandah complete with a flat Outback. 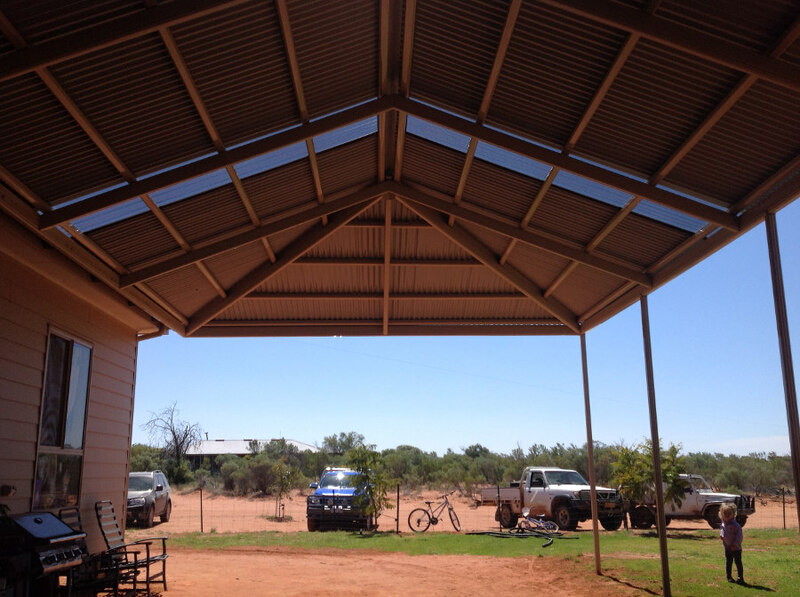 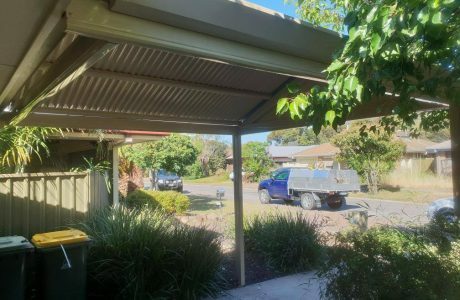 The colour is “sand dune”, and this particular gable verandah also has iron stone gutters.